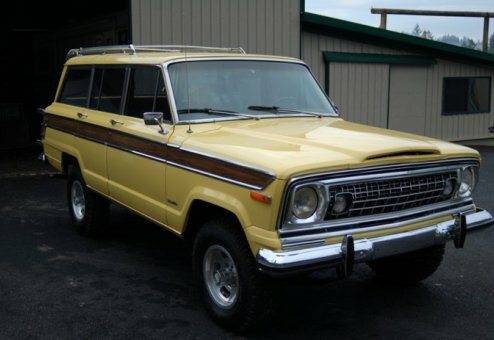 One of the best remaining, all-original '77 models, plus very low actual miles with only 68,788 original miles. Very well cared for and its pampered life shows. Currently registered as a Collector Car, this is a true, original gem. A well-preserved, rust-free Arizona native, this Jeep has spent the last 10 years under garaged, pampered care in Oregon. Great heritage, excellent mechanicals and original interior and paint is so sharp! A real piece of true Americana! A real looker, this sparkling beauty is a car-show award winner and is well preserved. Looks and drives like a champ. Certainly represents the best of the best from '77. Fully loaded, this Jeep even includes the original factory optional 401 V8 engine. Includes electric rear window cruise, cold AC and Quadra-Trac. Call us for more details. Take a close look at this beauty. This Jeep will qualify for the 25-year vehicle exemption for lower road and property taxes.